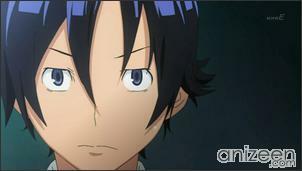 Third year middle school student Mashiro Moritaka is depressed about his potential future. 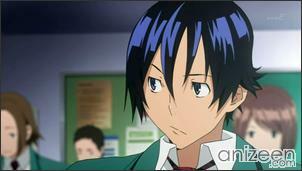 He sees himself living a meaningless life as a high school and university student and then as a salaryman. Moritaka likes to sketch and when he was younger he wanted to emulate his uncle who was a manga artist (mangaka), but after his uncle died without really finding the happiness that he wanted, Moritaka lost interest in drawing for manga too. 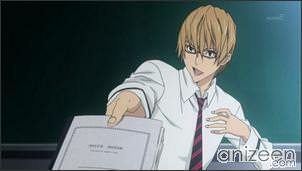 One day, after forgetting his sketch book in his homeroom class, Moritaka returns to find that the top student in the class, Takagi Akito, has the sketch book and is looking at a sketch that Moritaka drew of a pretty classmate, Azuki Miho. Moritaka likes Miho, but he hasn’t gotten the nerve yet to tell her. Akito offers the sketch book back if Moritaka does him a favor; Akito wants to become a famous mangaka, and he has lots of stories to tell, but he needs an artist to illustrate the stories. 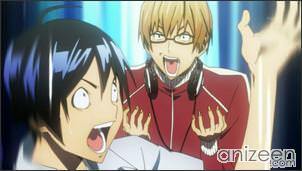 So, Akito wants Moritaka to join him and together they will become a Famous and Successful Mangaka Team. But Moritaka remembers what happened with his uncle and tries to explain all the difficulties in becoming a mangaka to Akito. 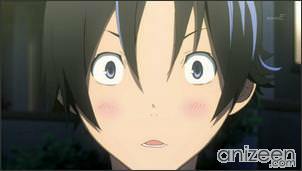 But when Akito finds out that Moritaka’s uncle was the author of the fairly successful “Bakuman” series he becomes even more excited. However, Akito can’t convince Moritaka and ends up handing back the sketch book, and they both go their own ways in order to study for an upcoming test. However, Akito knows that Miho wants to become a voice actress (seiyuu), and so he calls Moritaka up and gets him to join him in a hairbrained scheme to go over to Miho’s place and ask her to become “their” seiyuu when they become famous and their manga becomes an anime. 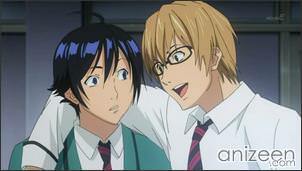 Moritaka thinks that it is a crazy idea, but he goes along because of his big crush on Miho. To the surprise of both boys, Miho actually comes out of her big, expensive house and speaks with them, from safely behind the big iron gate. Akito makes his offer, and to Moritaka’s astonishment Miho is happy to agree, to a good extent because she has a secret crush on Moritaka too. Moritaka remembers his uncle’s story about how his uncle got into being a manga-ka. It was mainly because his uncle wanted to impress a girl that he liked during school, and eventually marry her. Confused by the memory and nervous in the presence of Miho, Moritaka suddenly blurts out that he wants Miho to marry him once he is famous and successful. All three kids are shocked and Miho runs back into her house. But then she speaks to Moritaka through the gate intercom and tells him that she agrees, as long as she becomes famous and successful as a voice actress too. Moritaka Mashiro is once content in following the usual life of a Japanese citizen: attending a university, and eventually becoming an office worker; but he now follows in the foosteps of his late uncle manga artist. He has been a talented artist since early age, but is highly dissatisfied with his drawings. 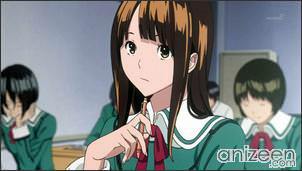 Moritaka is fond of his classmate Miho Azuki, who wishes to become a seiyuu, and he spontaneously proposes to her. She accepts to marry him on the condition that they must not see each other until they both achieve their dreams. 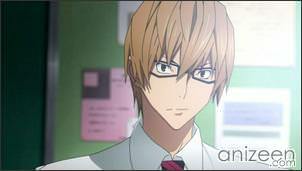 Moritaka then decides to team up with another classmate, talented writer Akito Takagi, and tries to create a popular manga to have it adapted into an anime. The two work under the shared pen name “Muto Ashirogi“. 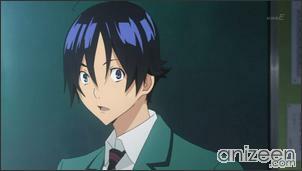 Akito Takagi is one of Moritaka’s classmates, and after discovering Moritaka’s talent as an artist, he proposes that they publish a manga together. Although Moritaka refuses, the two soon come to work together. Akito is a writer who specializes in unorthodox storylines and writes them in their manga. 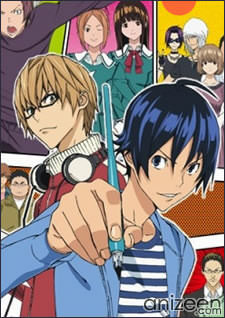 Bakuman。 (バクマン。) is a shounen manga written by Tsugumi Ohba and drawn by Takeshi Obata. The first chapter was released in Japan on August 11, 2008, serialized in the magazine Weekly Shounen Jump. 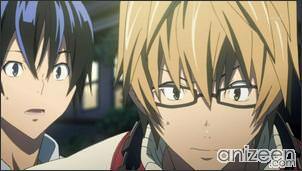 A 25-episode anime television series based on the manga began broadcasting on NHK on October 2, 2010. 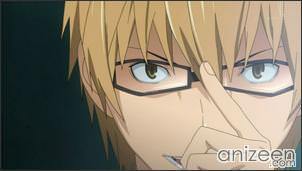 Opening Theme: “Blue Bird” by Kobukuro eps 1-13; “Blue Bird” (Second Verse) by Kobukuro ep 14-. Ending Theme: “BAKUROCK ~Mirai no Rinkakusen~” by YA-KYIM eps 1-13; “Genjitsu to Iu Na no Kaibutsu to Tatakau Mono-tachi” by Takahashi Yu ep 14-.